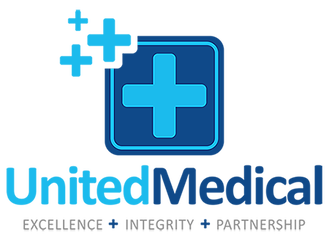 United Medical is a clinician-led agency based in the South-West. We are headed by a Medical Director and Clinical Operations Director who are both experienced clinicians with experience of working in large NHS Trusts. As such we fully understand the pressures on healthcare providers in the current economic climate. Our philosophy is underpinned by an ethical approach to business practice. We are committed to maintaining a sustainable partnership with our clients by offer cost-effective and quality-driven workforce solutions. We have devised a unique pricing structure that is designed to enable our clients to make major savings on their agency spending. We consider our clients to be our partners in healthcare provision and we will do our best to help you manage your workforce vacancies without compromising on quality of care. Our recruitment process is based on the standards recommended by NHS Employers. Our attention to detail and commitment to quality ensure that we exceed these standards as we strive to become a leading locum agency. An important part of this process is our clinical leadership maintaining regular dialogue with our clients to gain feedback on the quality of our locums. Our goal is to set the highest standards in locum recruitment. Our Medical Director is a practising doctor and our Operations Director is a practising RMN, Clinical Manager and Independent Nurse Prescriber. This makes us highly aware of current practice and what quality care is about. This is why United Medical is not only aware of the revalidation and supervision needs of our locum doctors, but we also offer our full-time agency nurses monthly supervision and reflective practice which sets us apart from most agencies. We understand the qualities that any employer would seek from agency staff and that is why our selection process is based on an ethos of recruiting skilled, committed and empathetic staff who understand good quality care. We are committed to becoming primary providers of locum staff for all our partners in healthcare. As we are South West based, we aim to provide a regional hub of locally based locums who are familiar with the region and its specific challenges and cultural contexts. Please email us with any queries or to request a callback. at the heart of their patient interactions and relationships.